The federal government has named the panel of experts that will lead an inquiry into ensuring that levels of investment in schools actually have an impact, boosting the results of Australian students. Minister for education and training, Simon Birmingham, said the Review to Achieve Educational Excellence in Australian Schools would be led by “Mr David Gonski AC and a panel of seven eminent educators and policy experts”. Minister Birmingham said the review would build on existing reforms focused on strengthening the accreditation standards of teacher training courses, ensuring graduate teachers have literacy and numeracy skills among the top 30 percent of the adult population, and a ‘back to basics’ focus on phonics and numeracy teaching. “Australia has so many fantastic schools and teachers, but across a range of domestic and international indicators our results are stagnating and in some cases, slipping,” Minister Birmingham said. “This panel and the review will help lead a turning point in Australian education. He said it was vital to ensure “maximum bang” for investment, and that needs-based funding must help lift performance across all schools. He added that credible evidence must inform the use of the most effective programs and initiatives for our students. “This panel of experts brings together a wealth of knowledge from across Australia, blending individuals with practical classroom experience or school leadership roles with national leaders in public policy. The experience of panel members stretches from overcoming challenges in regional and remote areas or disadvantaged and Indigenous communities through to a strong appreciation of the demands the modern economy will place on future school leavers. Their recommendations will be able to draw on that extensive experience and expertise. “The Review panellists are ideal advisers on the best evidence-based practices for our students that will help guide how our schools and educators focus resources in classrooms. “This Review will set a pathway to turnaround our stagnating and declining student performance and help to boost the preparedness of students for life after school. This is an opportunity to move past the funding debate that has dominated public discussion for so long and hone in on what Australia really needs to do in our homes, classrooms and beyond to give our students the best shot at success. Mr Gonski has welcomed the move from the government to embrace needs based funding for schools in Australia. “The review panel has a unique opportunity to assist in putting Australian schooling on a better path for success. 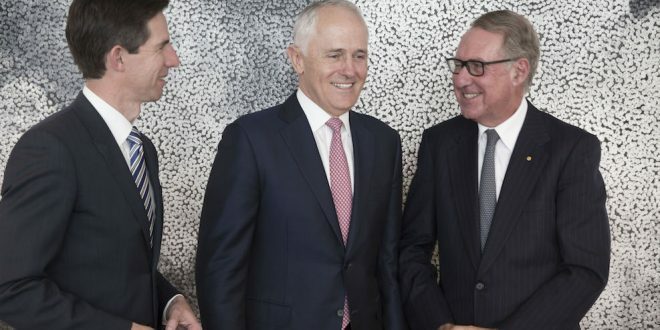 I believe that the panel has an excellent balance of skills and backgrounds to work on quality reforms,” Mr Gonski said. The review will report to the prime minister and Simon Birmingham by March 2018. It will examine evidence and make recommendations on the most effective teaching and learning strategies and initiatives to be deployed.